Berlin, Germany – HARMAN International Industries, Incorporated, is proud to announce a complete lineup of new JBL® consumer headphones. The JBL Synchros in-ear, on-ear, and over-ear headphones bring world-renowned JBL professional audio sound to headphones. Packaged in a precision design, with authentic materials, this line has a model for everyone. Groundbreaking research performed by Harman engineers has revealed insights into consumer preference for headphone sound, which has been the foundation for the acoustic design of this new headphone line. JBL engineers used this proprietary insight and decades of audio engineering expertise to develop a line of headphones that deliver a balanced audio experience with amazing clarity and deep, powerful, bass. In the JBL Synchros headphone lineup, JBL debuts its patent pending JBL LiveStage™ signal processing technology. JBL LiveStage™ adds localisation cues to deliver a more lifelike listening experience, recreating the warm natural feeling of being "in the room" within the headphones. The result is a headphone experience similar to that of listening to music from a stage in front of you. JBL LiveStage™ gives the listener a greater sense of spatial presence and separation, with individual instruments and voices sounding richer and clearer. JBL Synchros headphones with JBL LiveStage™ bring the music to life in a way that consumers have never experienced before. 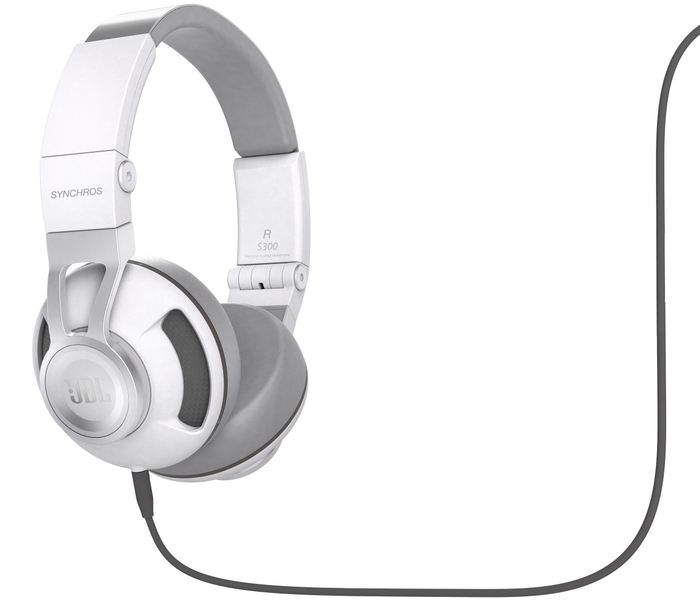 JBL Synchros S700 premium powered over-ear stereo headphones are the flagship model of the line. The JBL Synchros S700 headphones are built for those preference top performing technology: precision crafted from lightweight die cast aluminum, woven fabric, steel and luxuriously appointed leather ear cushions. 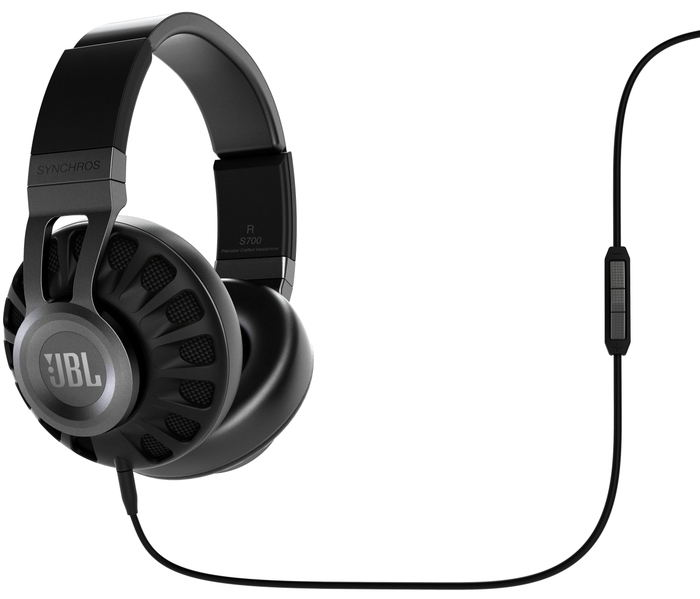 With JBL professional audio performance and JBL LiveStage™ signal processing technology, these headphones deliver an unparalleled lifelike listening experience. Nothing else looks, feels or sounds this new. JBL Synchros S500 powered over-ear stereo headphones are precision-made, lightweight and durable. Combining JBL Professional sound and JBL LiveStage™ signal processing technology, the headphone brings you all the energy and realism of a live performance. JBL Synchros S300 premium on-ear stereo headphones are designed to revolutionise your portable listening. Making a clean break from conventional headphone design these lightweight yet durable headphones, with a steel headband and leather ear cushions are comfortable enough for hours and hours of listening. With JBL professional audio performance the JBL Synchros S300 reproduces your music with amazing clarity and deep, powerful bass. The design highlights portability, with cups that rotate and fold for compact storage. JBL Synchros S300 brings you flexibility, style, and power all in one piece. JBL Synchros S200 premium in-ear stereo headphones are ultra-light yet powerful. Precision-designed, die-cast aluminum earpieces with metal accents ensure these headphones stand out from the flock. Angled eartips provide comfortable stable fit for hours of listening enjoyment and powerful 10 mm drivers deliver JBL Professional Audio grade performance, with amazing clarity and resonant bass. JBL Synchros S100 advanced in-ear stereo headphones deliver striking sound in a contemporary design. With JBL professional audio performance, the JBL Synchros S100 reproduces your music with amazing clarity and deep, powerful bass. Angled earpieces, and a variety of eartip sizes, ensure a comfortable, stable fit. 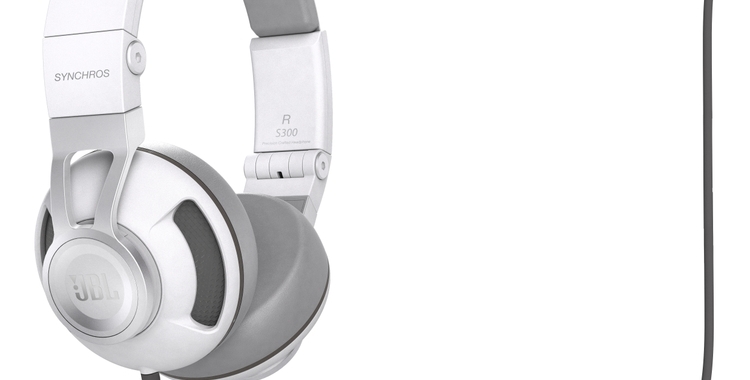 Die-cast aluminum earpieces with metal accents, these headphones complement any style.